This was the starting point for GEILO365, which at its start consisted of 7 eager activity companies. GEILO365 was launched June 14, 2017 with 1 administrative workplace and online booking of activities and adventures! Our main goal is that more activity companies will participate so that we together can collaborate and offer a wide range of activities for both individuals and groups all year around. All our professional activity providers have one wish in common – to offer you as a guest online booking consisting of fantastic experiences and activites! 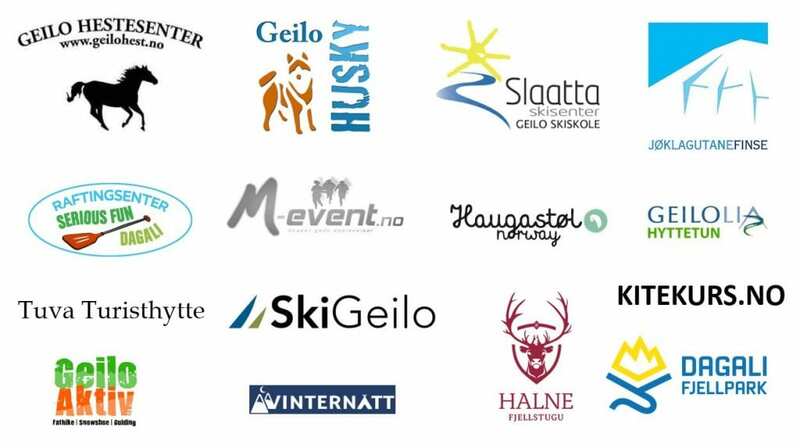 Today GEILO365 consists of: Slaatta Skisenter, Geilo Hestesenter, Geilo Husky, Jøklagutane, Serious Fun, M-Event, Haugastøl, Geilolia hyttetun, Geilo Aktiv, Halne Fjellstugu, Vinternatt, Dagali Fjellpark, Tuva Turisthytte, Kitekurs.no and SkiGeilo.